THANK YOU Mikaela @ thewellthumbedreader for tagging me – I feel so honoured! It’s really quite a general story – I tried to start a blog a few years ago but didn’t fully understand how to use WordPress and wasn’t in the right mindset to be running a blog regularly. So, I made the right decision and I signed off. A year and a half later, however, my life had completely changed, I had more classwork then ever and my personal life was going up in flames. And, so I signed onto my old blog account and posted an old review, and from just pressing publish I felt so accomplished – I had something to ground me. Blogging has become a sort of rock for me over the past 6 months, it distracts me from my anxiety and provides solace from my home life. Just in the past few months, I’ve really gotten the hang of this whole thing, I’m becoming more comfortable on my blog and am even making some friends. It’s been a very grounding experience so far! I found that having an idea of when I wanted to post things on my blog really helped me. It gave me a goal for the week. My schedule is a bit out whack at the moment because of the start of the school year but I try to post on Mondays and Thursdays. However, if I know I am going to be posting a T5W I will try to upload on Mondays, Wednesdays and Saturdays. This is the most hypocritical thing I could possibly say but, don’t stress. This goes along with my first piece of advice – if you forget to post something (don’t worry about it, half the world is probably asleep – you’ve got time!) or can’t think of something to blog about don’t worry about it. You are not obligated to be here – you should be blogging because you want to be, not because you feel like you have to. If blogging starts to stress you out then go for a walk, take a breather. Or even better, take a break from blogging – it’s possible that your life is just a bit too busy at the moment or you’re not in the right mindset. Go read a book, love it and then come back and review it. It’s okay to not always feel like blogging, you’re here to have fun, not stress yourself out. So here’s the thing, because I’ve only really become comfortable on here in the past couple of months I don’t really have anyone to tag but I’ll try. 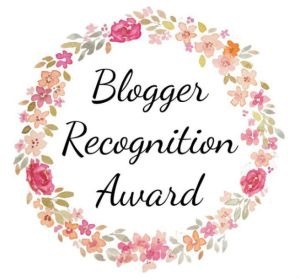 I don’t know if you’ve already gotten this award but I really love your blog, so here you go! Posted on March 6, 2017 April 16, 2017 by EllynPosted in AwardsTagged Tagged. Previous Previous post: February Book Haul! Updating regularly and don’t stress are good ideas! I think updating regularly can get you a consistent audience, and if you start stressing out about your blog, it starts becoming a chore, which is never good. Regular updates are a big thing for me, if I’m not consistent I get anxious and irratated. I now plan my posts a month in advance, for example I’ve already started writing my posts for April. Awww thanks you, I haven’t done this tag/award yet. I’ll get to it asap. Those are some great tips.